The WIS application was first demonstrated at Brno in June last year on Honeywell’s experimental Boeing 757 and later adjusted in order to become compatible with Airbus cockpit philosophy. 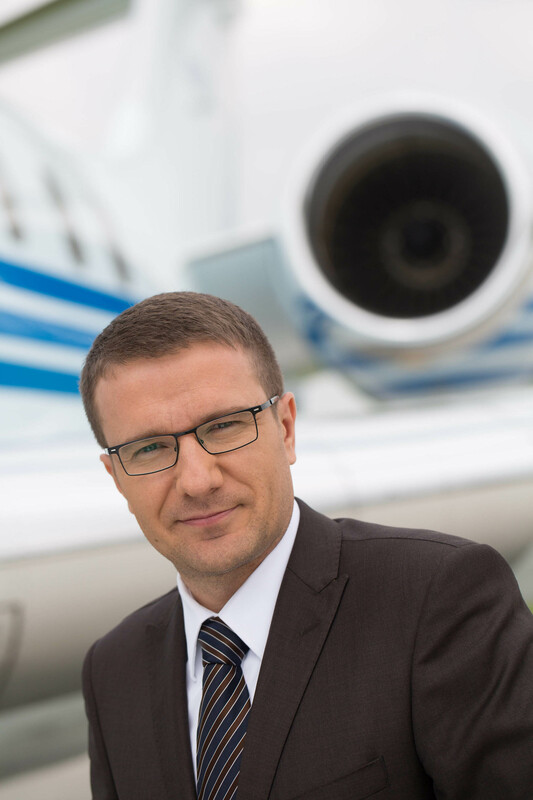 The system works so well ABS Jets are now working with it to assess the benefits for wide range of business aircraft. Using WIS on an Electronic Flight Bag (EFB) improves crew’s strategic decision making and ultimately increases flight efficiency, safety and passenger comfort. This is achieved by a rich set of meteorological products efficiently complementing standard onboard weather radar observations. With WIS the flight crew is able to graphically assess the latest weather observations and predictions what gives the pilots the possibility to adjust the flight plan in order to avoid areas of turbulence or obtain detailed information on the position and extent of thunderstorm clouds. WIS displays current meteorological information in an intuitive graphical form, which helps the crew with fast and accurate interpretation of the provided data. One of the most attractive feature of the app is called Weather Radar, which displays potentially hazardous weather conditions along the planned flight trajectory. WIS also alerts pilots to localized dangerous turbulent conditions (Clear Air Turbulence), which helps to create a more pleasant journey for passengers.